Before I bought this eyeliner, I was never a fan of ones – they all seemed to require too much skill and precision. 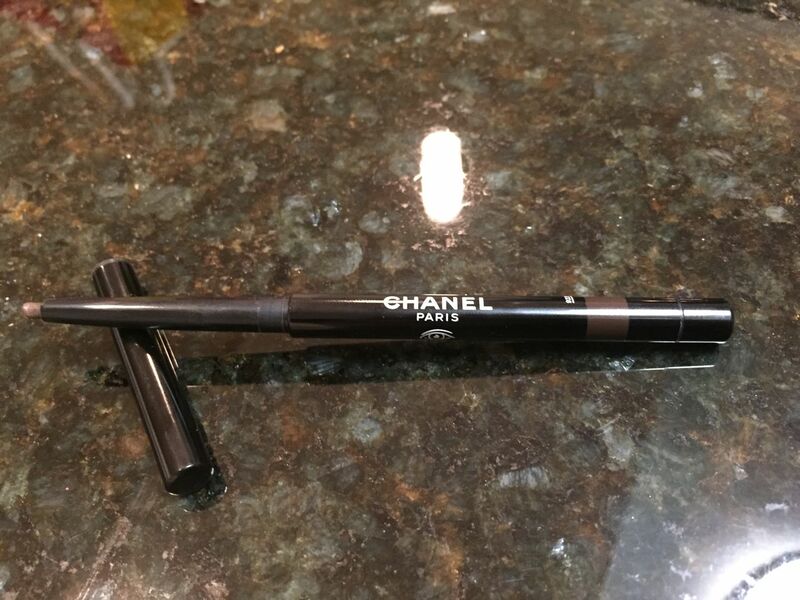 However, Chanel eyeliner literally changed my life in terms of makeup routine – it made it so much easier and faster. 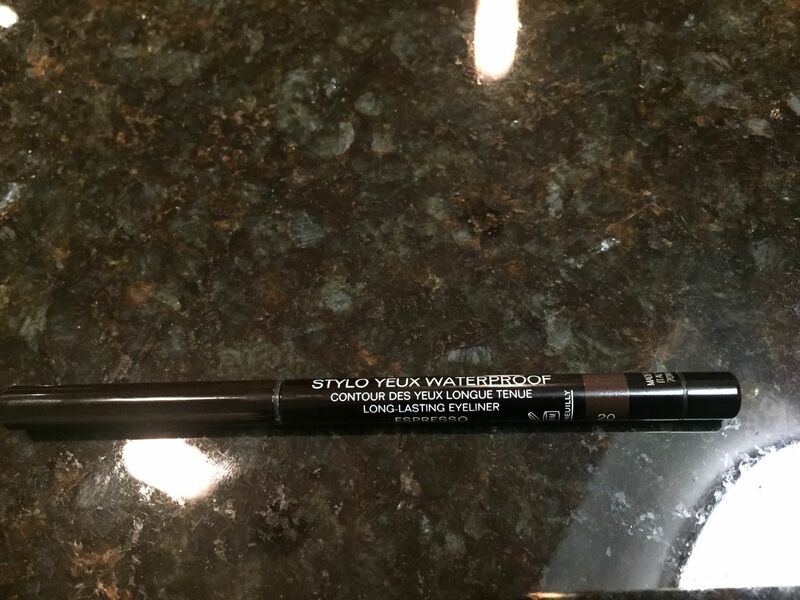 The purchase of this eyeliner was rather spontaneous: I was buying something else at Nordstrom and saw this beautiful product, thought about it for like two minutes and decided I wanted it. When it arrived and I tried it, I couldn’t be happier. I got it in limited 20 Espresso color (hurry, it won’t last long), which is very rich, dark brown. I like that there is no undertones in it like, for example, in Dior Crayon Eyeliner in brown: it’s, as claimed, pure espresso. This color works perfectly with my medium skin and brown eyes. Before I talk about application, let me tell you about the product itself. 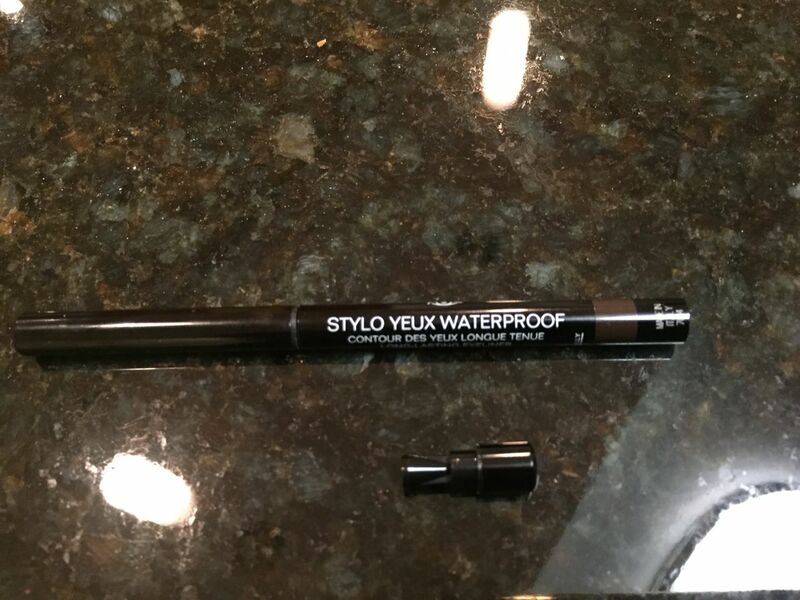 This eyeliner is sleek and elegant – it will fit easily in any cosmetic bag. It looks more like a 19th century lady pencil rather an eyeliner – very feminine. It is super easy to use – you open it, twist it to the right – the color comes out, twist it to the left – the color comes in. On the other end of the pencil there is an awesome surprise which I didn’t know about until I read the description: a built-in sharpener which you can detach! Now, ladies, isn’t that amazing? I’ve always had problems with remembering to put my sharpener in the cosmetic bag and I don’t have to remember anymore. The pencil is incredibly pleasant to apply – it glides on smoothly, it is thin so it’s practically effortless to draw a precise line, it doesn’t need constant sharpening and doesn’t smudge. Like, at all. You could cry, get under the rain, spend all night at the club – your eyes will look impeccable. Of course, I use it with an eye primer, but other eyeliners smeared even with the primer (like Dior eyeliner I already mentioned). The only thing I do have to complain about is absence of smudge brush – I do have one from a brush set but at this price ($32), I think it’d be nice to have one as a compliment to the pencil. But that’s a tiny detail. Overall, I am so in love with this little eyeliner that I want to buy it in every color. Apply eye primer. I use Urban Decay Original Eyeshadow Primer Potion in the tube. It’s an excellent eye primer that never disappoints. Apply eyeshadow. For this particular routine I always use my Dior eyeshadow palette in Rosy Tan 754. Theoretically, you could use any palette with taupe, ivory and pink colors. 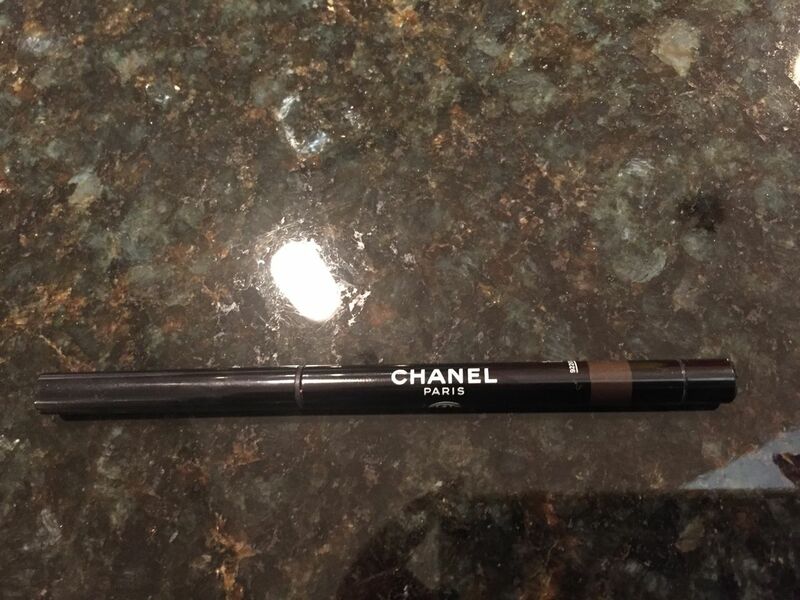 As for me, I have tons of brown eyeshadows but only this palette seems to be the one for this Chanel eyeliner. So, first, I apply Ivory Pearl Shimmer (light beige with shimmer) at the center of the eyelid. Brush Taupe (light brown) into the crease, blending into Ivory Pearl Shimmer and extending the color up and outward. Apply Light Pink on the upper lid and blend it into Ivory Pearl Shimmer. Put Silvery Taupe Shimmer at the outer corners and tightly along the lashline. Trace Silvery Taupe Shimmer underneath lower lashline. 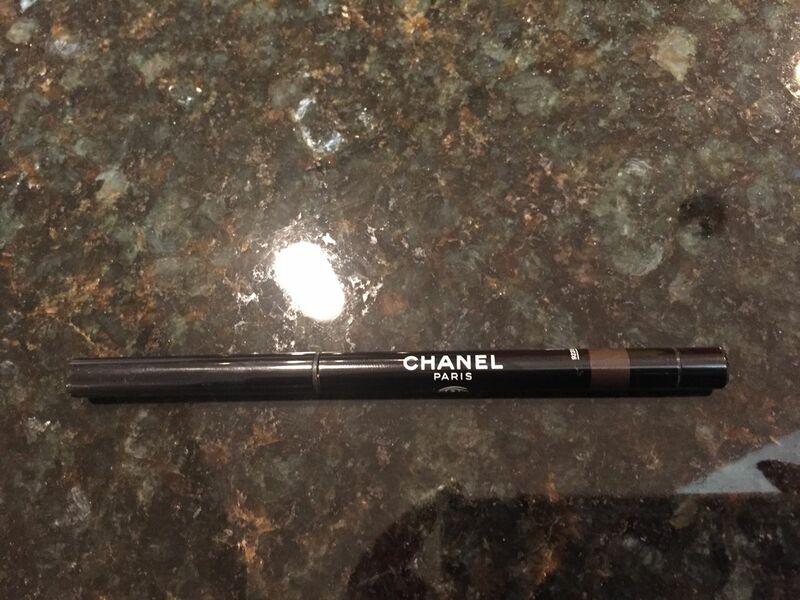 Line upper lashline with Chanel Eyeliner, flare it slightly at the outer corner. For more dramatic look, you can also line lower lashline with the eyeliner – just don’t overdo it. Apply Dior Lash Maximizing Lash Plumping Serum. Then – your favorite mascara. Mine is Clinique High Impact Waterproof Mascara. Apply Benefit Watt’s Up highlighter along browbone, smudge it and blend into Ivory Pearl Shimmer. Voilà! You’re done. With this eye makeup you look sophisticated without being way too dramatic, which often happens with eyeliners. Moreover, the good part is that you still can use bright lipstick, like Guerlain Rouge Automatique in Bal De Mai 160, which is soft shimmery coral. For a more casual look, go with something like Dior Addict Lipstick in Millie 680 – light shimmery mauve pink. I wouldn’t advise to choose matte lipstick because there is not much shimmer in the eyeshadow and none in the eyeliner, so you would want your lips to balance it with some sparkles. 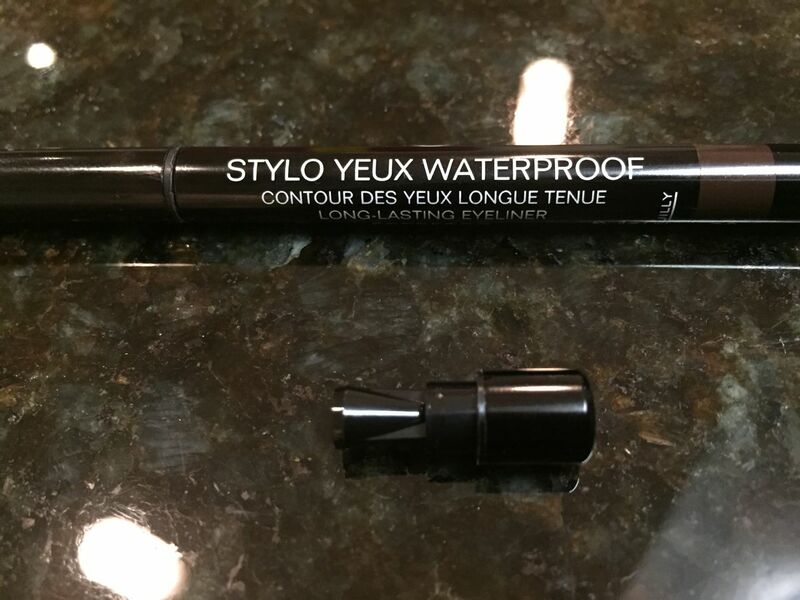 You can buy this product on Chanel website: Chanel Stylo Yeux Waterproof Long-Lasting Eyeliner.